Mendel’s Dream are an indie folk band based in San Francisco, California. 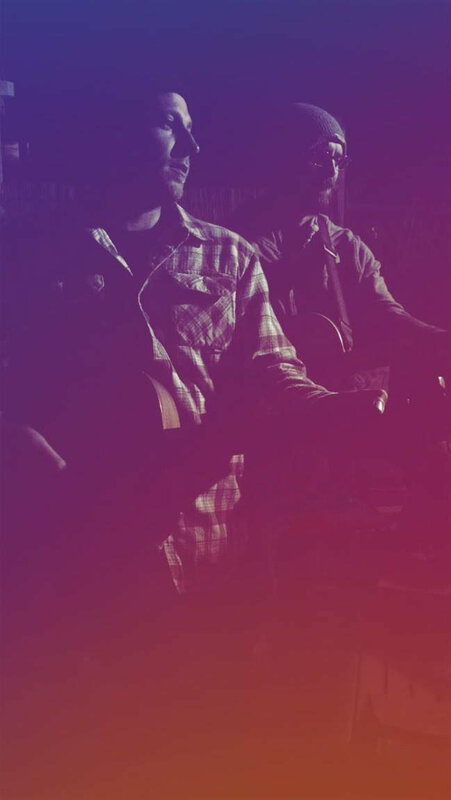 After forming in 2015 as a songwriting project between frontman Steven Bonaccorso and guitarist Jeff Mensch, the pair built up a wealth of original material which they showcased at various open mics around the local area. By early 2018, the duo felt a need to expand their sound and subsequently recruited drummer Dan Tonazzi and bassist Rudy Choy to complete the full lineup. Upon feeling a real sense of chemistry between them, the foursome wasted no time in taking the plunge and commencing work on their debut EP, recorded over the course of one day on analog technology with minimal post-production. The resulting product, ‘A Tiny EP’, effectively showcases a very talented group of musicians with a well-formed sonic identity and a huge amount of potential. The EP optimistically opens with the upbeat track ’33 to 66′. Genre-wise, the track is strongly rooted in the folk genre, featuring some wonderful influences of blues and rock. Particular praise goes to Choy for a wonderfully-written bass part; he provides an excellent counter-melody to the lead guitar riff, simultaneously inverting the harmony which adds a real sense of variety to the arrangement. During the chorus, he drops back to just root notes. This provides solid infrastructure for the guitar and vocal tracks to sit atop the arrangement, which shows good adherence to the philosophy of ‘playing the song, not the instrument’. Mensch’s guitar work is also fantastic, making use of a helplessly-catchy main riff as well as a blues-influenced guitar solo that’s melodically-adventurous without becoming overbearing. This again shows a fantastic sense of musicianship as well as good attention to detail. ‘Miss Mudd’ is an uptempo track, albeit with a great reflective feel to it. Tonazzi really takes the limelight here, showcasing a wide variety of impressive fills in the shuffled-breakdown section of the song. This adds a real sense of excitement to the track, once again without becoming overbearing. Additionally, my focus turns to Bonaccorso‘s vocal delivery, which is very accomplished and well-suited to the genre. He delivers his lyrics gently and warmly, which sits very well with the more sparse arranging style the band make use of. However, something that each track is truly crying out for is a strong backing vocal arrangement, which is something the band don’t make use of. In an ensemble such as this one, a strong backing vocal arrangement would effectively fill out the midrange, highlight key lyrical points and add a real sense of presence to the material. As a result, I’d very strongly urge the band to consider making use of this feature on future releases. By this point, one of the band’s biggest selling points immediately becomes apparent; their excellent sense of chemistry and musicality. It’s clear that each member strives to make their part the very best it can possibly be whilst still keeping the needs of the arrangement in mind. The band also have a real sense of slickness about them, feeding off each other’s energy and playing fantastically well together as a unit. As a result, I’d strongly advise the band to place this quality at the forefront of their marketing. ‘Palace’ is a more stripped-back track featuring some fantastic tremolo guitar work. The vocal melody on this track is particularly strong, featuring some great leaps and wonderful descending runs that are bound to embed themselves in the listener’s head for hours to come. At this point, my attention turns to the band’s sonic identity, which is overall thoroughly-formed and well-channeled. The band consistently make use of the indie-folk genre and have carved out a whole host of signature traits for themselves. These include blues-influenced lead guitar lines, an uptempo yet reflective mood and detailed drum work. I’m very much looking forward to seeing how the band choose to further-refine their signature traits over their next few releases to craft a sound that’s unmistakably ‘Mendel’s Dream’. The EP rounds off with the stripped-back track ‘Swim’, which I felt nicely recapitulated each of the band’s signature traits. This effectively brings the EP full circle and made me keen to hear more from the band. Lastly, my attention turns to the EP’s production, which is overall very good and well-suited to their genre. Despite being recorded in a single day, the recording quality is excellent and it’s clear the band have taken adequate time to obtain appropriate tones and takes at the source. In addition, the stripped-back post-production gives a truly intimate and live feel to the EP, which I felt suited their sonic identity well. The mastering work is also excellent, with the production having a consistent feel to it from track to track, resulting in a cohesive final product. Overall, ‘A Tiny EP’ effectively showcases a band with a real sense of chemistry between them who are overtly clear of their well-formed sonic identity. I’m very much looking forward to seeing where they choose to take the project over their next few releases and have no doubt they’ll achieve fantastic things in the coming years. Highly recommended for any fans of folk or indie.